Salem, OR—Investors around the country stood in line for Oregon’s successful Certificate of Participation sale to help preserve the public benefits of the Elliott State Forest. State Treasurer Tobias Read announced the successful completion of the offering, which closed today, with the $100 million in proceeds being invested in the Oregon Common School Fund. There was three times more demand than supply of the Certificates of Participation, which will be repaid to investors over 20 years at 3.83 percent interest. Several of the buyers were from socially responsible investment funds, a reflection of the environmental and economic benefits of the Elliott State Forest. “The future of the Elliott State Forest is on a more sustainable path today, and the success of this sale reflects Oregon’s strong credit rating and our national reputation as a good environmental steward,” said Treasurer Read. The Common School Fund is managed by the Oregon State Treasury for the benefit of current and future Oregon school students. The additional $100 million will increase the value of the fund to roughly $1.7 billion. The Elliott State Forest is currently an asset of the Fund. The new financing will impact about 82,500 acres – about 129 square miles -- of the low-elevation forest near Reedsport. The completed sale is the next step in a plan that will ultimately remove the forest from the fiduciary requirements of the assets in the Common School Fund. Unlike parkland and nature preserves, assets held by the Common School Fund must be managed primarily for financial benefit. The future of the Elliott State Forest has been under debate because of a steady decline in revenue from timber harvests, due primarily to species protections. The State Land Board – made up of the Governor, Secretary of State and Treasurer – opted to explore ways to remove the forest from the income requirement while also maintaining public ownership and public benefits, such as access and conservation. That plan was put into motion in 2017, and included the Legislature’s approval of the just-sold Certificates of Participation, which will be repaid from the state General Fund. 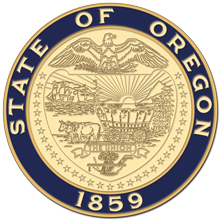 The Oregon State Treasury improves the financial well-being of all Oregonians. We provide low-cost banking, debt management and investment programs for governments, and empower Oregonians to invest in themselves and their loved ones for a more secure future, through the Oregon College Savings Plan, Oregon ABLE Savings Plan, and OregonSaves.